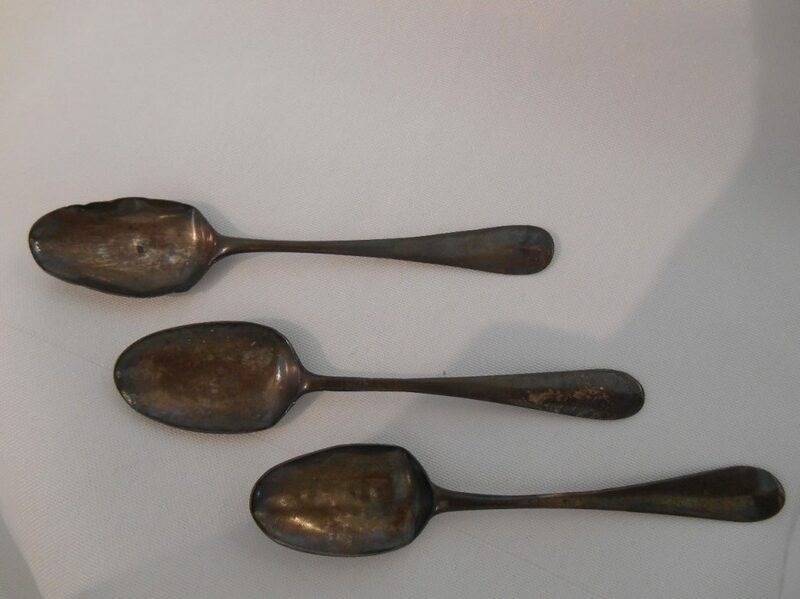 Just a set of three small, old silver spoons, made sometime before 1620. 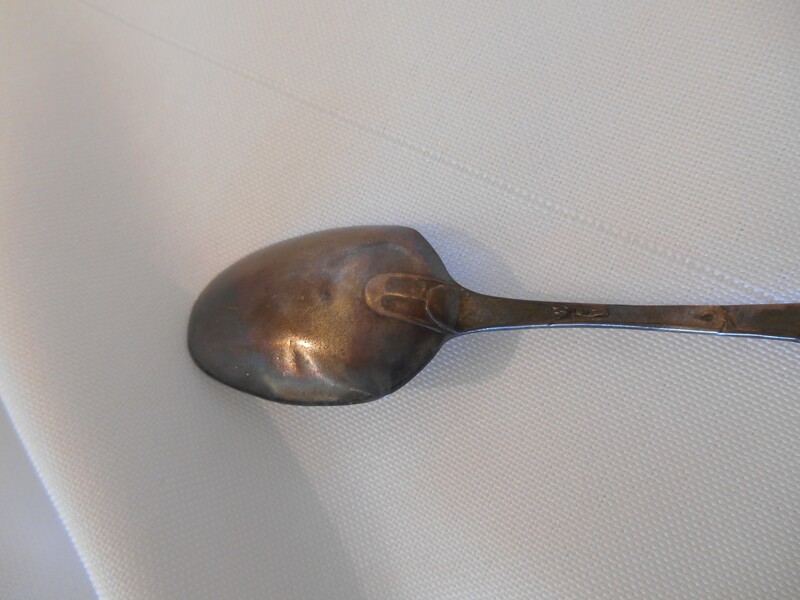 Bent, tarnished, worn, not much to look at. 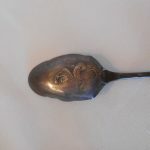 And yet closer scrutiny reveals designs on each spoon. 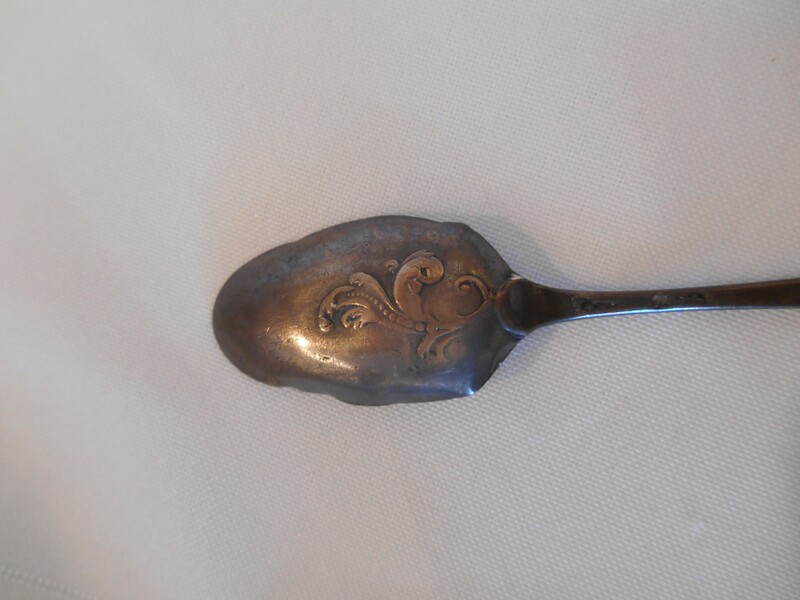 Long ago, some craftsman took the time to embellish these otherwise ordinary utensils. 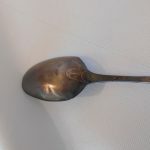 Each spoon has a different decoration on the back of the bowl, and each has different initials stamped into the handle. Whose initials were they? 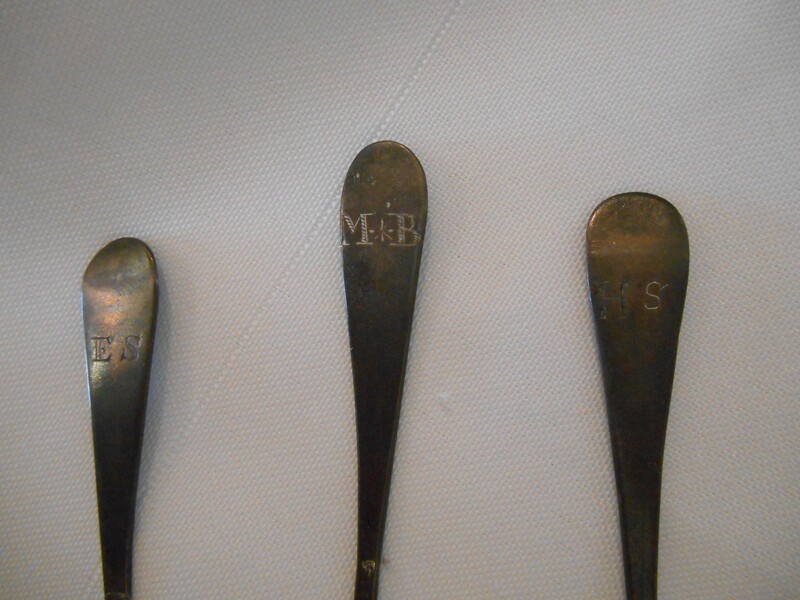 How many cups of tea or coffee were stirred with these? How many miles have they traveled? 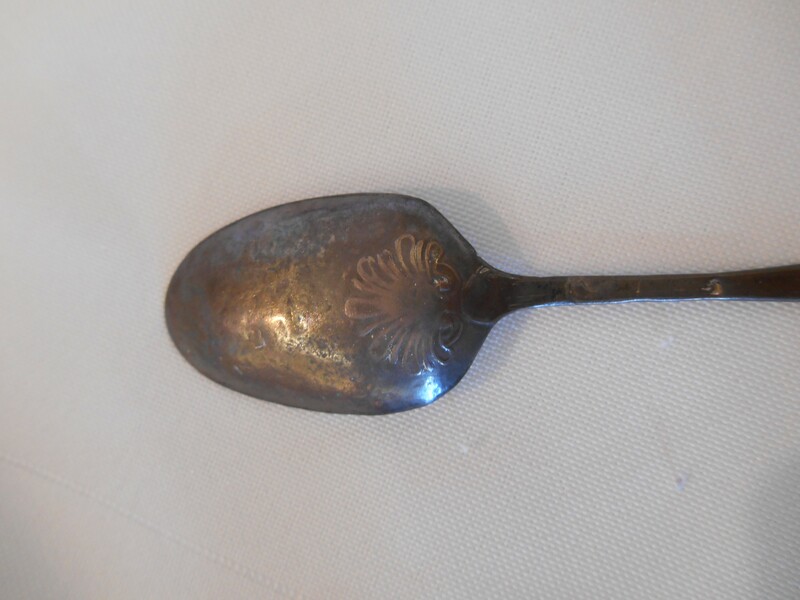 The story goes that an ancestor of the Bickerdyke family, Thomas Rodgers, brought these spoons with him when he came to this country on the Mayflower. 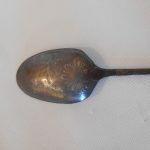 The spoons must have been cherished possessions, because lists of provisions suggested for the colonists journeying on the Mayflower only included wooden spoons along with skillets, kettles, pots and pans. 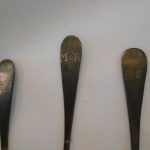 These spoons were passed down through the generations, coming to Mary Ann (Ball) Bickerdyke, the great, great granddaughter of Rodgers, who said that no matter what the family fortunes were she would always keep these spoons. 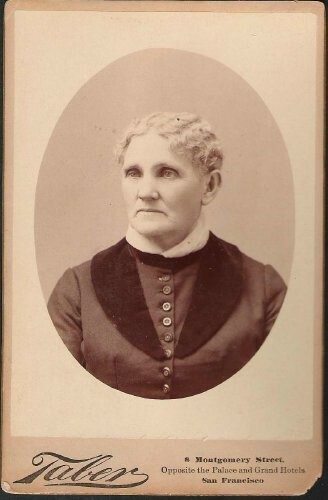 She was also known as “Mother” Bickerdyke because of her care and nursing of soldiers during the Civil War. Her concern for the soldiers was admired by many, including Generals Ulysses S. Grant and William T. Sherman. Her bravery and supervisory skills made her legendary…but that is a story for another time. We Have New Books in the Gift Shop!